The puzzle genre has evolved consistently and developers have been finding new and exciting ways of teasing our brains, making us think, and stomping us entirely. It also helps that puzzle games are easily playable on mobile devices which have only helped skyrocket their popularity. For everyone that looks for a new and interesting puzzle game for his smartphone, we decided to help so we searched and discovered one amazing puzzle block game for you. Let’s see what the game offers you. 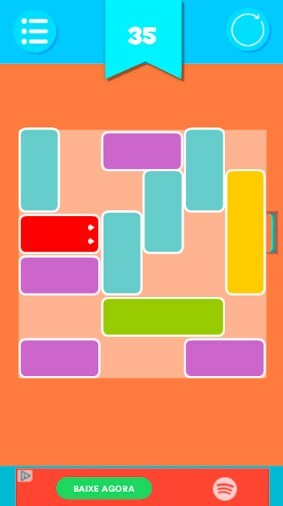 What is this puzzle game about? This is one exciting and fun puzzle that is specially created as a block game that is suitable and challenging for both adults and kids. On this simple and easy to play puzzle game, the players enjoy the amazing HD graphics and fun sound effects while they are filling the lines and solving the puzzle. Developed for Android users, very attractive, this game is giving players the chance to exercise their brain and sharpen their mind, thinking hard and puzzling to make the right moves and fill all the lines. Why do we choose Puzzle Game Extreme? The Puzzle Game Extreme for its users has very interesting features that will get them addicted on their first try and keep their attention when playing each time. All the players need to do on this game is to put the pieces on the board and fill the lines, horizontally and vertically. Once the player has filled the line, that line will disappear and more free space will appear so the player can put new pieces in it. The game will be over for the player when there is no more space for filling and the blocks stay listed below the board. Depending on how much the player wants to challenge himself he can choose among levels like easy, medium, hard, advanced and expert. When the player completes a level he can progress to next even more challenging one to test his puzzle skills. The game offers a rating system as well so the players can challenge their friends, colleagues, and circles. Anytime and anywhere, players will enjoy puzzling and play on the go. Download this game on Google Play now for free to have fun solving puzzles and sharpening your brain!